Looking for London Mini Cabs? Chose ZedCarZ. ZedCarZ are a popular London Mini Cab firm, offering standard and executive private hire and a dedicated airport transfer service. Our service is available throughout London and the surrounding areas of Surrey. Call 0208 330 3300 to book. Whether you need a mini cab in London there and then, or have time to pre-book, our job is to ensue we have a vehicle ready and at your service. Having a large fleet of vehicles means you won’t be waiting long when you need us. London is busy, and it’s difficult to get around at the best of times. To make everything less stressful, we only have drivers with extensive road knowledge: Our drivers know London and the surrounding areas such as Surrey like the back of their hand. This also means you can get to your destination as quickly and efficiently as possible. Quality, comfortable vehicles are used as our London mini cabs. Our standard London private hire mini cab fleet boasts Saloons, Estate Cars and MPV’s. All vehicles boast air conditioning technology. Our London Mini cabs feature GPS tracking so we know where they are are. Satellite navigation systems aid our drivers and help ensure we always utilise the fastest and most efficient available route of journey. An executive private hire service is available. 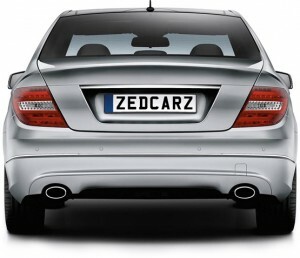 ZedCarZ is renowned for executive London Mini Cabs. Our executive vehicles are a quality Mercedes E-class or equivalent, driven by professional, smartly dressed drivers. The ZedCarZ executive mini cab service has been trusted by businesses, corporate organisations and individuals over a decade. Nothing but the best – it’s the ZedCarZ way. Our handy mobile app makes it even easier to book a London Mini Cab. The App is available for Android and Apple smartphone and portable devices. You can also book via the traditional methods; request a quote online or simply book a mini cab by calling us on 0208 330 3300. This is the best car service in Tolworth. They are the most competitive and the receptionist is always helpful and call you if the car is stuck in traffic.